We have the machinery to manufacture the steel injection molds needed, which allows us to better service large orders that require this manufacturing system. 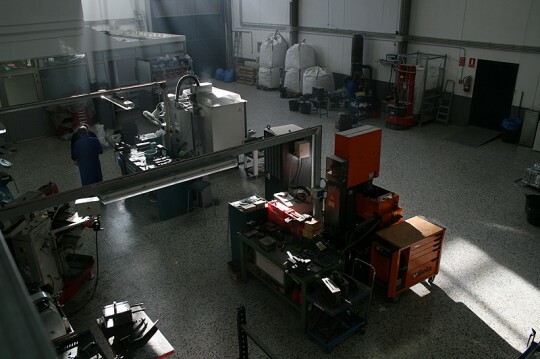 We have two automatic injection machines as well as manual machines, able to inject more than 150,000 pieces a day; this enables us to ensure fast service and excellent quality. As a final step on the manufacturing process, we run the pieces through vibrators to polish the parts where they are kept more than eight hours in a highly abrasive type of stone. With that high quality polish process, they are ready for the final color finish. We have our own galvanic plant where we give the color finish to the articles. To ensure the standard of service and quality, in the galvanic plant, we offer all types of finishes, including eco-allergenic finish.